Lindsay K. Boucher hails from Salt Lake City, Utah. She attended Utah State University and completed her undergraduate degree in theater and history. She received her masters from Chicago College of Performing Arts at Roosevelt University where she met her writing partner Lauren Widner. Lindsay loves being surrounded by the beautiful mountains and red rock canyons of Utah. 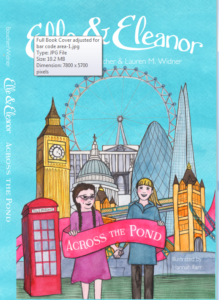 Elle and Eleanor, Across the Pond is her first book. When she isn’t teaching high school she enjoys snowshoeing, rooting for the Chicago Cubs, and spending time with her family. Lauren M. Widner is a theatre director from NJ. Lauren is a freelance director, pianist, and vocal coach. Regional credits include The F Word (Philadelphia Fringe Festival), Nuclear Follies (Theatre at St. John’s) 20,000 Leagues Under the Seas (Lookingglass Theatre), A Connecticut Christmas Carol (Goodspeed Opera House), and The Foreigner (Cape Playhouse). 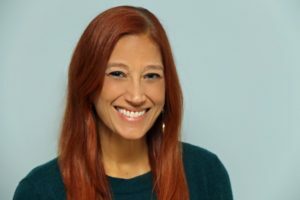 She taught in NJ public schools for more than 15 years and has additionally directed, musically directed, and choreographed at various non-profit, educational and community organizations. 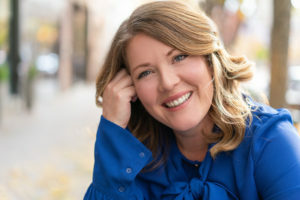 She earned her Bachelor of Science in Music Education from The Pennsylvania State University, Master of Music in Music Education from Boston University, and Master of Arts in Theatre Directing from the Chicago College of Performing Arts at Roosevelt University.